A beautiful symbol of how your love will blossom on the wedding day and long after, this cheerful reception card features a flourish and heart frame around your wording. The flourishes, hearts and design are printed in your choice of color. Your wording is printed in your choice of colors and fonts. 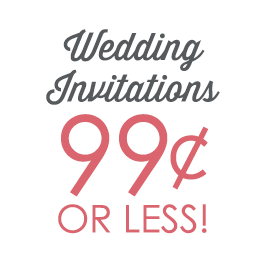 I ordered invitations, RSVP and detail cards. It looks amazing. I upgraded the paper quality and it exceeded my expectations.